The work report of the Supreme People's Court (SPC) was delivered by Chief Justice and SPC President Zhou Qiang at a plenary meeting of the Second Session of the 13th National People's Congress in Beijing on March 12. 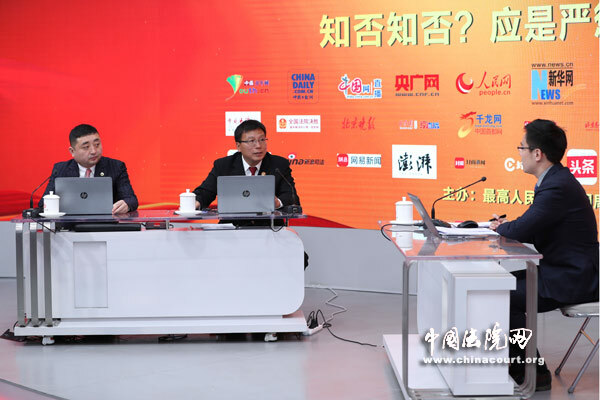 Luo Guoliang, vice-president of the SPC's Criminal Adjudication Tribunal No 3, gave a briefing on courts' work on telecommunication fraud cases during an interview. He said telecommunication fraud is one of the most serious social harms affecting the safety of people’s personal property and courts have been heavily punishing such offenders. 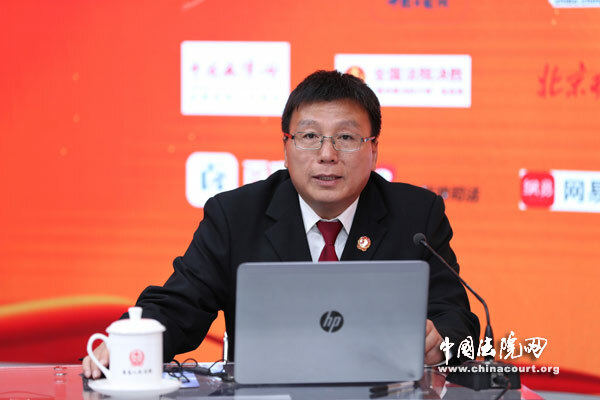 According to Luo, the netizens population in China had reached 829 million by December 2018 and about 817 million people get access to the internet through mobile phones. Online shopping, car hailing, education and payments bring convenience to people's lives. On the other hand, illegal activities through the information networks, and particularly fraud, are increasing. According to the Ministry of Public Security, about 131,000 telecommunication fraud cases were broken up by public security organs in 2018, and 73,000 suspects were investigated. "Telecommunication fraud" is not an accusation in China, but a collective term of various types of fraud crimes, Luo explained. Most telecommunication fraud are committed by a group of people through messages and calls or posts on the internet and dens are set up for the crimes. Such frauds are often designed painstakingly, which means such crimes belong to premeditated crimes, he said. Compared to traditional fraud, telecommunication fraud is a kind of remote and non-contact crime which uses modern communication devices and the internet. People more easily rise to the bait in such frauds and suffer large property loss. In addition, telecommunication fraud leads to more serious consequences. For instance, some enterprises may face bankruptcy and some people lose their money needed for medical treatment after being swindled. Courts at all levels in China have established a joint mechanism to fight against telecommunication fraud. A campaign against telecommunication fraud was launched in October 2015. Luo explained that the SPC formed a special group to work on new types of crimes based on the internet. High and intermediate courts in regions where have been identified as key areas for combating telecommunication fraud have also been required to establish leading groups. Courts must adopt proper laws and deal with each telecommunication fraud case efficiently and punish the criminals strictly in accordance with the law. Luo mentioned that to efficiently crack down on telecommunication fraud several documents were issued to clear enforcement standards. The SPC, the Supreme People's Procuratorate (SPP) and the Ministry of Public Security jointly issued an opinion on applicable laws in criminal cases like telecommunication fraud, which offers more detailed legal ground to strike such crimes. The interpretations of applicable laws of criminal cases infringing personal information and disturbing the telecommunication management order, released by the SPC and SPP, clearly stipulate the confirmation and punishment of criminal acts such as infringing personal information and illegally using fake base stations and broadcasts. Legal publicity is also a focus of courts' work, He added. Releasing typical cases is an effective way to help the people learn about telecommunication fraud and special TV programs and series reports on such themes also help more people become knowledgeable about fraud. Trials of telecommunication fraud cases were also opened to the public to deter criminals and raise people's awareness of fraud prevention. Luo said some new types of fraud have arisen recently and the courts are now working on them. Before the mid of 2019, a collective document concerning these frauds will be released to the public.